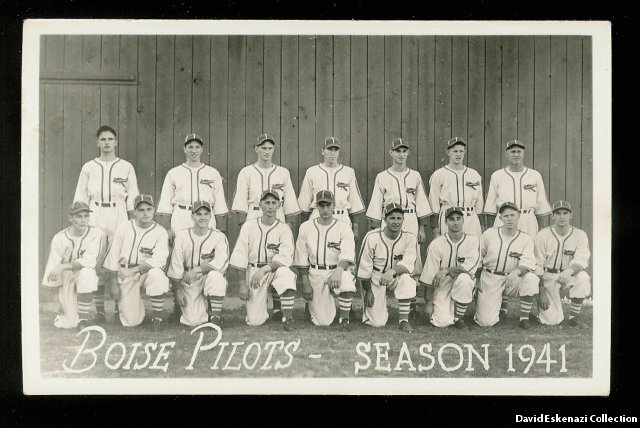 Baseball didn’t just begin here with YOUR Boise Hawks, it all started with the Pioneer League in 1939. Originally the teams were the Pilots, the Yankees from 1952-1953, back to the Pilots for 1954, and finally the Braves from 1955-1963. The field of play for the Pioneer League was not far from Bronco Stadium. It was located in Municipal Park, which is now the location of the state’s Fish and Game Department. The final season of the Pioneer League was in 1963. The City of Boise went eleven seasons without minor league baseball until the Northwest League began play in 1975 as the Boise A’s, single A affiliate of the Oakland A’s. The home opener was expected to draw a crowd of about 3,500 fans. There were two drawing factors, 1) Boise had gone eleven years without minor league ball and 2) the only active female umpire in pro ball was going to be working the game. Christine Wren, 26, was the first female umpire in the Northwest League. While the debut was exciting, the Boise A’s only drew a crowd of 1,814 fans. As the season went on attendance fell from an average of 800 fans per game to just 250 in 1976 and because of this, Boise would not see minor league play for the 1977 season. In 1978 the Boise Buckskins debuted but also fell short of a good season. With a record of 23-49, poor finances, lack of fans and no affiliation, the team was done. Boise wouldn’t see minor league play again until 1987 when YOUR Boise Hawks arrived! Originally YOUR Boise Hawks started out as the Tri-City Triplets in Richland, Washington in 1983 after moving from Wala Wala. The Triplets were an affiliate of the Texas Rangers for two years, then independent for another two before being sold to Diamond Sports in the fall of 1986 and moving to Boise for the 1987 season, however, Memorial Stadium has only been around since 1989 for YOUR Boise Hawks third season of play. The first two seasons were played at Bill Wigle Field at Borah High School. The first three seasons of YOUR Boise Hawks were played as an independent team. It was in 1990 that the team became an affiliate of the California Angels. YOUR Boise Hawks had a long run with the Angels, eleven years, before changing affiliation to the Chicago Cubs organization in 2001 which is who we are still partner’s with! This is just the beginning; let’s keep baseball going in Boise!